Every year thousands of visitors pass through our Morian Hall of Paleontology. Within the labyrinthine halls of this massive space they encounter some of the most famous ancient creatures known to science: Tyrannosaurus rex, Triceratops, Stegosaurus, Megalodon, Mastodon and many others. The space is filled with so many gigantic wonders that it’s easy to overlook some of the small but equally interesting pieces on display. So in this blog I will endeavor to help these little guys shine tall. Here’s a list of some of the coolest, but most overlooked pieces in our Hall of Paleontology. Fossils are extremely rare. The odds of an animal dying at the right place and the right time and being buried the right way in the right kind of soil are a million to one. The odds of a mutant animal being preserved are exponentially higher. And yet we have one! Notice anything weird about this Walliserops trifurcatus? Probably not… Admittedly the entire thing looks pretty weird. But the extra weird part is the the fourth appendage on the “trident” sticking out of the front of its body. 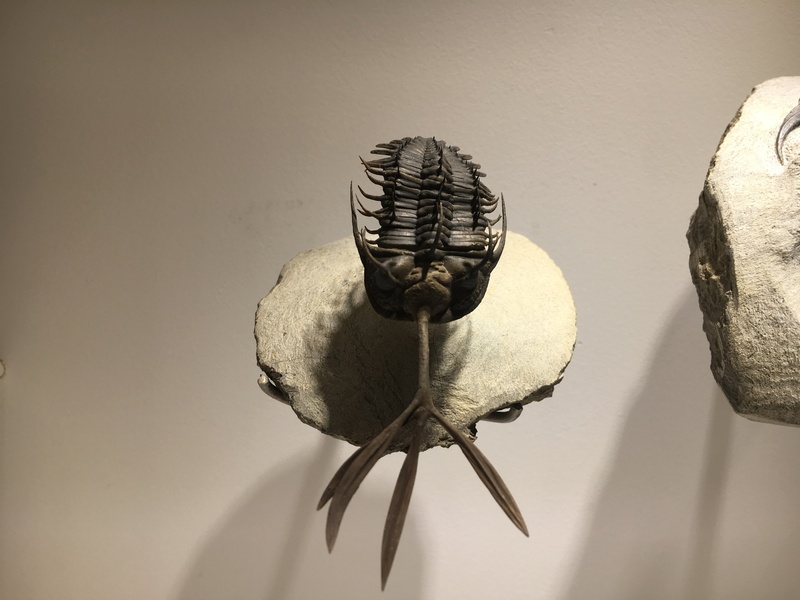 This species of Trilobite (ancient sea bug) usually only has three “prongs” on it’s unique appendage, but ours has an extra. There was a time when scientists didn’t all agree that Earth’s continents move slowly over time. In fact, the debate over the theory was quite contentious. In comes Mesosaurus. 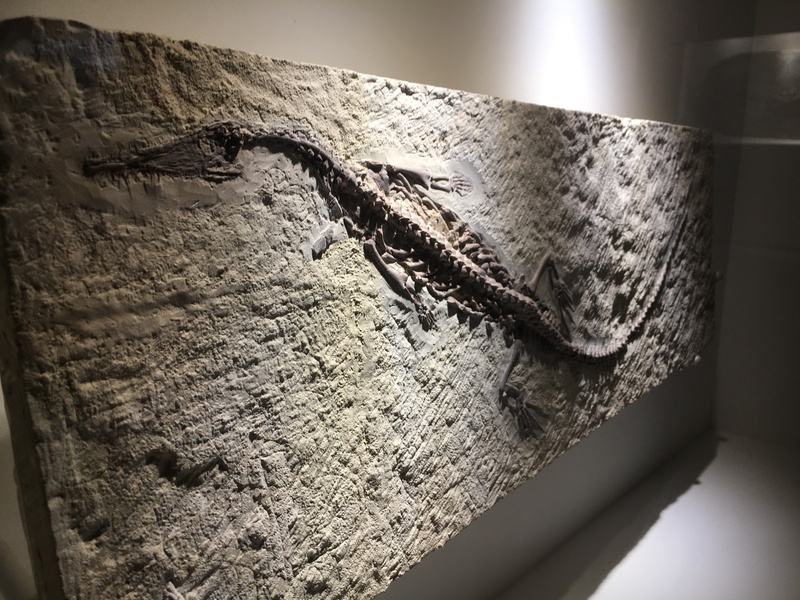 Before the break up of the Super Continent of Pangea, this little guy and all his Mesosaurus buddies lived in fresh water habitats in what are now part of Argentina, Brazil and South Africa, which at that time were all part of the same landmass. Millions of years after he died, Pangea split apart and while his body stayed in Brazil, the bodies of some his buddies drifted far away, encased in a bunch dirt that is now labeled South Africa. When specimens of Mesosaurus, a small, fresh water lizard, were discovered by paleontologists on two continents separated by thousands of miles of ocean, scientists began to wonder if maybe this continental drift theory might be true. It seemed the only way a little guy like that could travel so far is if the land he was buried in had moved. Many other discoveries discoveries also helped to prove the theory of plate tectonics, but Mesosaurus is a particularly compelling example. 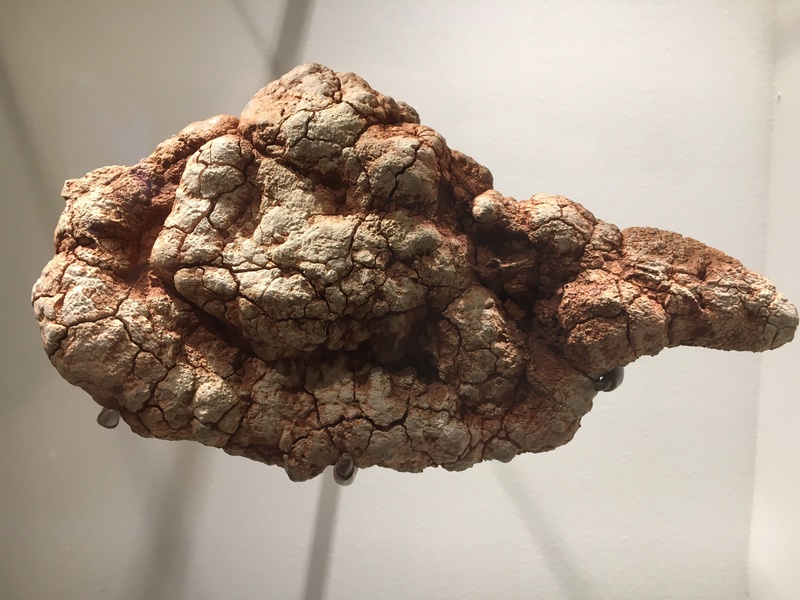 A coprolite is a fossilized piece of poop, we have many of the in our Hall of Paleontology. As gross as it may sound, coprolites are very important. They are an example of a trace fossil: basically preserved evidence of an animal’s activity. They can give us an idea of what kind of animals were living in an area millions of years ago and they can shed light on who was eating who. The vast majority of coprolites that are discovered are carnivore coprolites, due partly to the material that it’s made of. So finding a plant eater’s poop is rare enough, but this specimen of preserved Diadectes feces is more the 250 million years old. Rare indeed! It’s hard to imagine that our ancestors lived side by side with some of the giant beasts featured in our Hall of Paleontology, but indeed they did and not only that, they ate some of them as well! 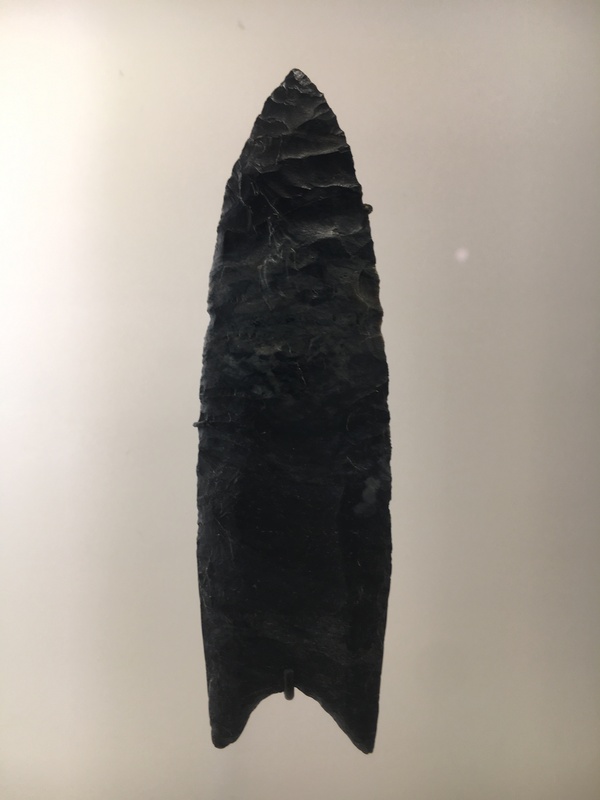 These Clovis style spear points showcased in our Hall of Human Evolution were the spear tip of choice for our mammoth eating ancestors. Examples of spear points in this style have actually been found inside preserved Mammoth and Mastodon skeletons. I hope you enjoyed this little tour into the obscure with me. Stay tuned for more fascinating glimpses into the lesser known stories our halls have to tell and be sure to come down and explore the museum for yourself sometime!